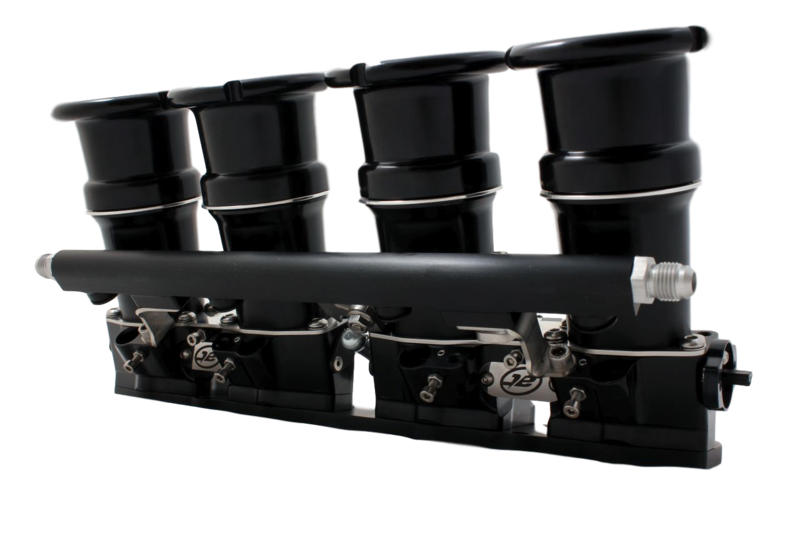 AT Power’s Direct to Head (DTH) individual throttle bodies are a high performance system with an individual butterfly sized for each inlet port. This is the ultimate performance option for most installations. Our direct to head throttle bodies are port matched to suit each engine variant. The throttle bodies are a twin housing design significantly improving the airflow into the engine and offering a lightweight solution. These throttle bodies feature our ‘Shaftless’ and knife-edged butterflies for improved airflow & performance. Utilizing our ‘Shaftless’ technology allows close positioning of the butterflies to the inlet valve giving the optimal throttle response. Delivered fully assembled, with billet aluminium housings, fuel rail, choice of linkage options, along with a choice of inlet lengths and calibrated for your choice of Throttle Position Sensors (TPS). Engine management is the only additional part required to achieve significant power gains.